Kerr (also called Kelly) is a model based in Toronto Canada. Kerr has always been inspired by many beautiful models as a child and since then she wanted to become one myself. 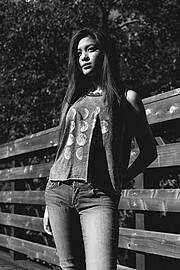 She is interested in meeting great experienced photographers, and collaborating with other amazing models. Kerr is super easy to work with and good at taking instructions. Interested in doing Music Videos, Advertisements, Print, Auto shows, Magazine Covers, Company Representative as well as Photo-shoots.